November 29, 1942: Ann Dunham is born Stanley Dunham in Fort Leavenworth, Kansas. Her parents are Stanley Armour Dunham and Madelyn Dunham. Her father names his daughter Stanley after himself because he wanted a son. When she's 18, Stanley, who doesn't like her boyish name, starts introducing herself as Ann. Stanley Ann went to elementary school in Kansas before her father, a smooth-talking salesman, moved his family to Berkeley, California and then eventually back to El Dorado, Kansas, where Stanley managed a furniture store. 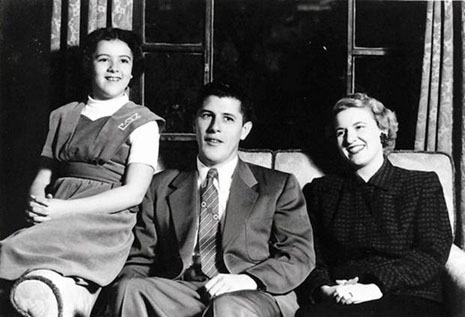 In 1955, Stanley and Madelyn moved to Seattle, where their daughter Ann attended Eckstein Middle School. The family rented an apartment in Seattle's Columbia City neighborhood. The Seattle area, thanks largely to Boeing, was enjoying a postwar boom, and suburbs were growing as fast as the Douglas firs could be cut. 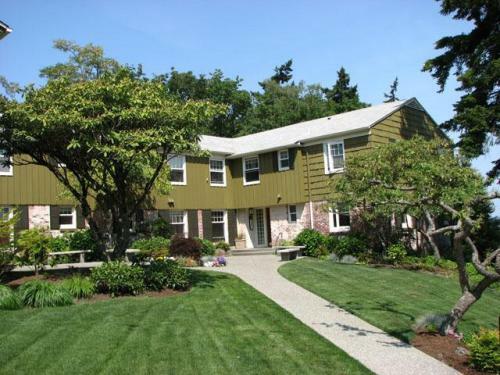 In 1956 they moved to the Shorewood Apartments on Mercer Island, a Seattle suburb, where they lived until 1960 and where their daughter Ann attended Mercer Island High School. Mercer Island High School, was a hotbed of pro-Marxist radical teachers. John Stenhouse, board member, told the House Un-American Activities Subcommittee that he had been a member of the Communist Party USA and this school has a number of Marxists on its staff. Two teachers at this school, Val Foubert and Jim Wichterman, both Frankfurt School style Marxists, taught a critical theory curriculum to students which included; rejection of societal norms, attacks on Christianity, the traditional family, and assigned readings by Karl Marx. The hallway between Foubert’s and Wichterman classrooms was some times called ‘anarchy ally.’ Dunham thrived in the environment, Wichterman said. On Mercer Island they rented unit 219 of the Shorewood Apartments, a huge new complex for middle-class families. Dunham's father worked at the downtown Seattle furniture store Standard-Grunbaum and his wife commuted to Bellevue to work as an escrow officer, according to phone directories of the time. Stanley Ann Dunham's classmates, many of whom had lived on the island their whole lives, viewed Dunham as a novelty. "She had a really ironic sense of humor, sort of downbeat and she was a great observer," said Iona Stenhouse, of Seattle, a former classmate. "There was an arched eyebrow, or a smile on her face about the immaturity of us all. I felt at times that Stanley thought we were a bit of a provincial group." The diversions for Dunham and her class were solidly 1950s vintage: sock hops and sleepovers and the song "Rockin' Robin." Dunham's father drove her and friends to boys basketball games, and would embarrass his daughter with his noisy cheering. "She was not a standard-issue girl. You don't start out life as a girl with a name like Stanley without some sense you are not ordinary." She also showed her politics, wearing a campaign button for Adlai Stevenson, noted for his intellectual demeanor, eloquent oratory, and promotion of liberal causes in the Democratic Party. And despite flirting with atheism, she went to services at East Shore Unitarian church; located in Bellevue, Washington the church was nicknamed ‘the little red church,’ because of its communist inclination. As graduation neared for the class of 1960, Dunham had hoped to join many of her classmates at the University of Washington, and was also accepted to the University of Chicago, according to Obama's memoir, the best-selling "Dreams from My Father." But her father was restless. He found sales work in Hawaii, then a new state. He insisted his daughter, who wouldn't turn 18 until November, attend the University of Hawaii. Madelyn Dunham abruptly left a lucrative career in Seattle WA as Bank Officer to work in Hawaii as an hourly wage bank teller. When Ann Dunham arrived in Hawaii , she was a full fledged radical leftist and practitioner of critical theory. She also began to engage in miscegenation (inter-racial relationships) as part of her attack on society. Susan Blake, one of her friends has stated she never dated ‘the crew-cut white boys.’ She had a world view, even as a young girl. It was embracing the different, rather than that ethnocentric thing of shunning the different. That was where her mind took her. "We could see Stanley, with her good grades and intelligence, going to college, but not marrying and having a baby right away," said Box, a retired teacher in Bellevue. Starting classes Sept 26th 1960 In Hawaii she meets Barack Obama Sr. from Kenya in her Russian language class. After a few pumps and plows she becomes pregnant in December of the same year. 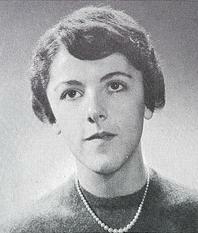 While only two months pregnant in early January 1961, Stanley “Ann” Dunham drops out of college. On February 2, 1961 - Barack Obama Sr., 25, marries 18 year old Ann Dunham. In actuality, it isn't clear Obama's parents were married, since official records have never been produced showing a legal ceremony took place. No wedding certificate or photograph of a ceremony for Dunham and Obama Sr. has ever been found or published. Rep. Neil Abercrombie, D-Hawaii, a self-described friend of Barack Obama Sr. and Ann Dunham in 1961, was quoted as saying that "nobody" was invited to the wedding ceremony. In fact, how and when the marriage occurred remains a bit murky, a bill of particulars that I've never quite had the courage to explore. There's no record of a real wedding, a cake, a ring, a giving away of the bride. No families were in attendance; it's not even clear that people back in Kansas were fully informed. Just a small civil ceremony, a justice of the peace. The whole thing seems so fragile in retrospect, so haphazard." Barack Obama, Jr. was born August 4, 1961. Ann Dunham, was attending college classes in Seattle 15 days after reportedly delivering her first-born child in Honolulu, according to school records. 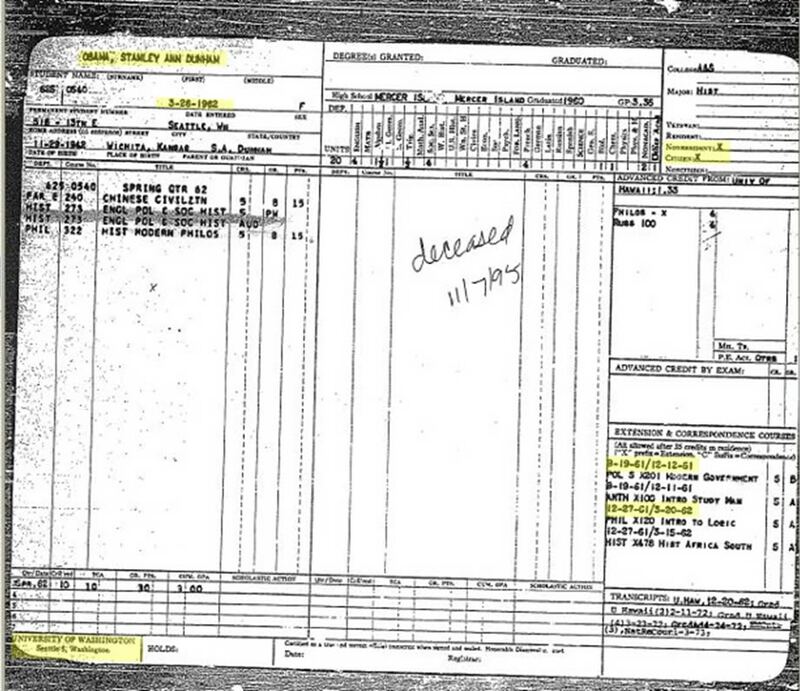 There is also nothing on the public record to suggest Madelyn Dunham, Ann Dunham's mother, or any other family member preceded or accompanied Dunham to Seattle in August 1961 to help the new mother and infant son find appropriate living arrangements and complete the university's enrollment process prior to beginning classes. The transcript clearly documents that Dunham was enrolled at the University of Washington for two classes that began on Aug. 19, 1961: Anthropology 100, "Introduction to the Study of Man" and Political Science 201, "Modern Government." The transcript also shows Dunham was enrolled at the University of Washington as a "nonresident citizen," which meant she would not be able to take advantages of the tuition breaks she should have been able to receive if she had continued her studies as a resident student at the University of Hawaii at Manoa. Barack Jr. apparently was only a few days old for the travel from Hawaii to Seattle. In deciding to take her child and move to Seattle, Ann Dunham abandoned her husband, Barack Obama, who stayed behind in Hawaii, evidently to continue his studies at the University of Hawaii. This now-documented account of President Obama's birth timeline differs dramatically from the narrative the president told in his autobiography "Dreams from My Father." In that book, Obama claimed his mother remained with him in Hawaii until 1962 when supposedly Barack Obama Sr. made the decision to abandon Ann Dunham and Barack Obama Jr. in Hawaii because Harvard did not provide sufficient funds for him to take his family with him to Cambridge, Mass., to begin his studies in September 1962. Ann Dunham's transcript from the University of Washington shows she continued to take classes there through the spring term 1962, which suggests she not only abandoned Barack Obama Sr. in Hawaii, but also that she remained in Seattle to continue her studies there well into 1962. Stuart Lau, registrar at the University of Hawaii at Manoa, confirmed that Dunham attended the fall term 1960 and did not resume studies at that university until the spring term 1963. Lau also confirmed that Barack Obama Sr. attended the University of Hawaii at Manoa from the fall term 1959 through the spring term 1962. This confirms the conclusion that Ann Dunham and Barack Obama Sr. never lived together as man and wife after the birth of Barack Obama Jr.
Members of the snack bar crowd at University of Hawaii don’t remember the Obama-Dunham relationship. Hal Abercrombie said he never saw them together. Pake Zane could not recall Ann from those days but had precise memories of Obama. In 1964 Ann files for divorce from Barack Obama Sr. and he signs the papers, although these divorce papers have never been seen, as with all other records pertaining to their marriage. Ann Dunham falls in love with another foreign student, Lolo Soetoro of Indonesia. Soetoro met Ann Dunham in 1963 at the East-West Center while both were students at the University of Hawaii. In 1965 Soetoro and Dunham are married in Hawaii. Lolo returns to Indonesia. Several months later with Ann and Barack. They live in Lolo's house, on the outskirts of Jakarta, the Indonesian capital. Power failures are frequent and paved roads are rare. Lolo is promoted and moves the family to a better neighborhood. Ann constantly feels lonely and the marriage begins to fall apart as she finds out she has less and less in common with Lolo. Ann takes a job teaching English at the U.S. embassy. Ann is worried about Barack's education so she gives him daily English lessons from 4 a.m. to 6 a.m.
August 15, 1970: Maya Soetoro is born to Ann Dunham and Lolo Soetoro. Maya is Barack Obama's half sister. Shortly after, 1971, Ann Dunham sends 10 year old Barack Obama back to Hawaii. There he lives with Ann's parents in their two bedroom apartment. In 1972 Ann returns to Hawaii with her daughter Maya. She and her two children live in a small apartment in Honolulu. In 1974 Ann goes back to Indonesia to do fieldwork for her Ph.D. Barack Obama decides to stay in Hawaii with Ann's parents. In 1980 Ann files for divorce from Lolo Soetoro. Anna went to work for the Ford Foundation from 1981 through 1984. She was employed as a program officer for "Women and Employment" at the "Regional Southeast Asia Office of the Ford Foundation in Jakarta. In 1986, Anna worked on a developmental project in Pakistan. Later that year, Anna and her daughter traveled the Silk Road in China. Anna monitored the funds received for this program from the Asian Development Bank and trained the Mobile Credit Officers of the Agricultural Bank. This program was controlled from the Gujranwalla Regional Office. She stayed for five years in the Hilton International Hotel (now Avari Hotel), Lahore. She travelled daily from Lahore to Gujranwalla. When Barack Obama visited Pakistan, he stayed in the same hotel. After returning from Pakistan, she died from cancer within three years. Anna also worked for the Ford Foundation and Women’s World Bank, establishing micro-credit loans in developing countries. Her antipathy for America and Americans didn't prevent her from funneling its money to third-world countries. She worked at Bank Rakyat of Indonesia, where she facilitated the practice "macrofinancing," making loans to people with poor credit and low incomes. You know the one, exactly what the Fannie Mae and Freddie Mac banks were pushing -- loans to people with poor credit and low incomes that created the mortgage meltdown. Bank Rakyat is 70% government owned (Persero) and has been government owned for the entire period since the war of independence in 1945. It is also part of the "Islamic banking cooperative." She lived in Pakistan for the five years beginning in 1987 and ending in 1992. During this time, Obama visited his mother and stayed for a few months. Anna was hired as a consultant by the Asian Development Bank for Pakistan Agricultural Development Bank’s Gujranwalla Agricultural Development Program. 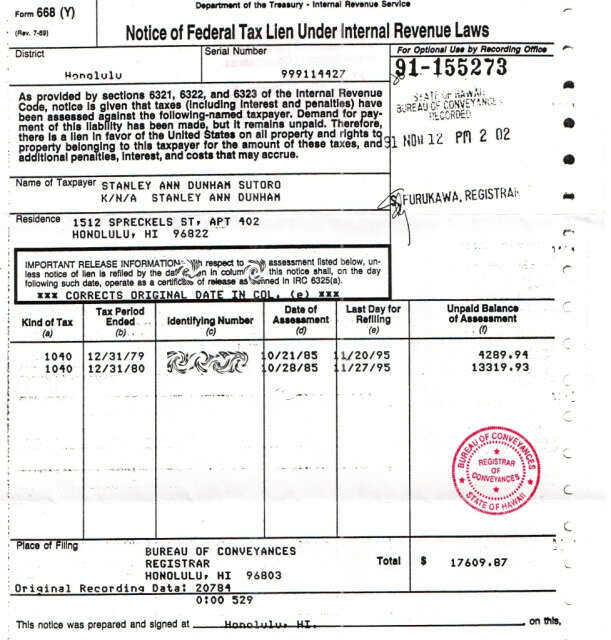 Ann wasn’t much into paying her taxes, as can be seen below. In 1992 Ann Dunham finally earns a Ph.D. in anthropology from the University of Hawaii's with a dissertation titled "Peasant blacksmithing in Indonesia: Surviving and Thriving Against All Odds," It was 1,067 pages long. In the index section, she signed her work as "Ann Dunham Sutoro." The legend is that Stanley Ann Dunham was an anthropologist. Although she earned a Ph.D. in anthropology from the University of Hawaii in 1992, she wasn't. She was an international banking consultant. She traveled around Southeast Asia, pursuing a career in international banking and rural development that took her to Ghana, India, Thailand, Indonesia, Nepal and Bangladesh. Being and anthropologist fits the Obama narrative better than her real role as a tool of "fat-cat bankers." In 1994, while in Jakarta, Indonesia, first signs of Ann's ovarian cancer appear and misconstrued by a local doctor as indigestion. 1995, Ann is back in Hawaii. Proper diagnosis reveals she suffers from ovarian and uterine cancer. Ann Dunham dies on November 7, 1995, at 52. Check out the Malcolm X theory.